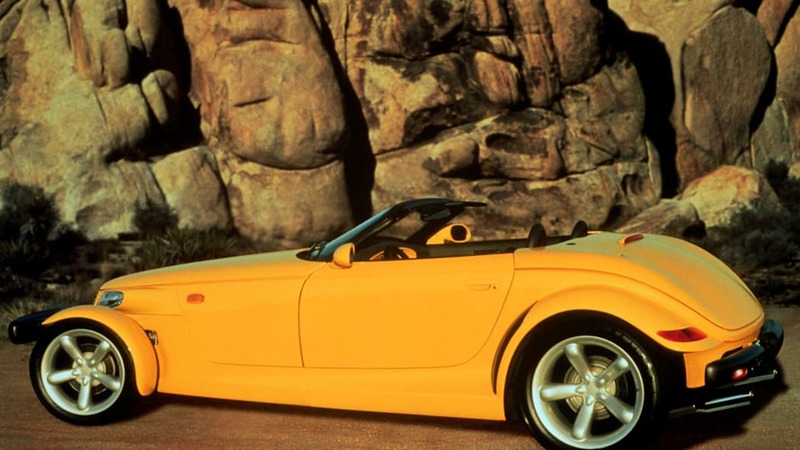 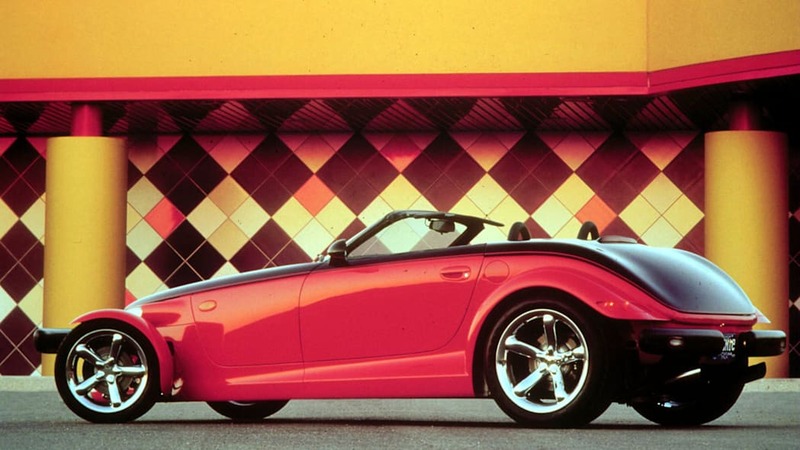 FIRST CHRYSLER-BRANDED PROWLER TO DEBUT IN BLUE -- Auburn Hills, Mich. -- Production of the first Prowler to be sold under the Chrysler brand is set for January 16, 2001 at Conner Avenue Assembly Plant in Detroit. 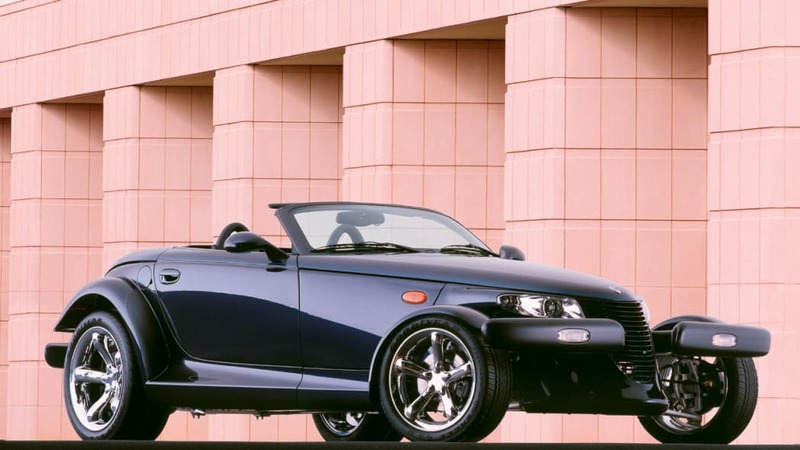 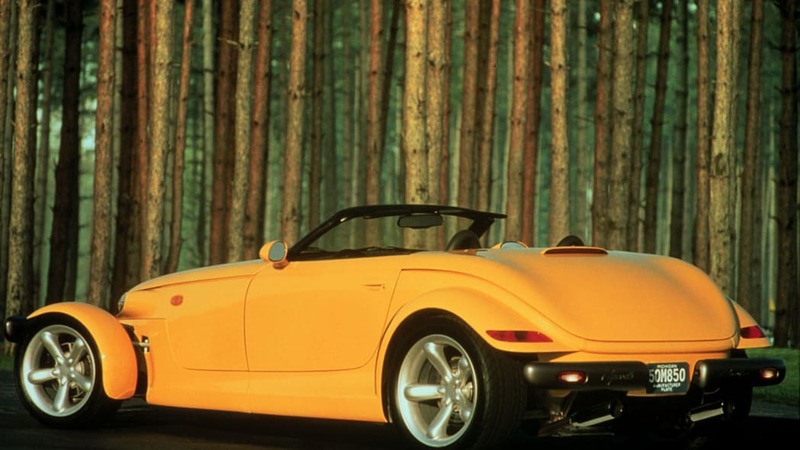 The 2001 Chrysler Prowler will bow in blue, and will be on display at the 2001 North American International Auto Show in Detroit through Sunday, January 21. 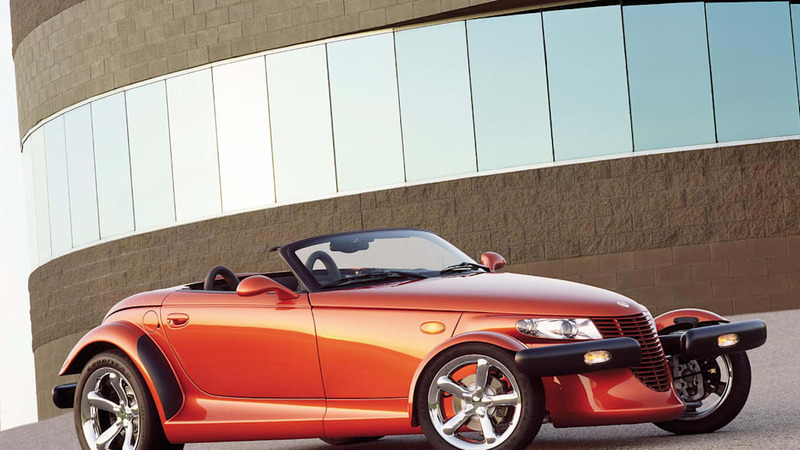 Prowler delivers the "shock value" for the Plymouth brand while raising nameplate awareness for the full product range. 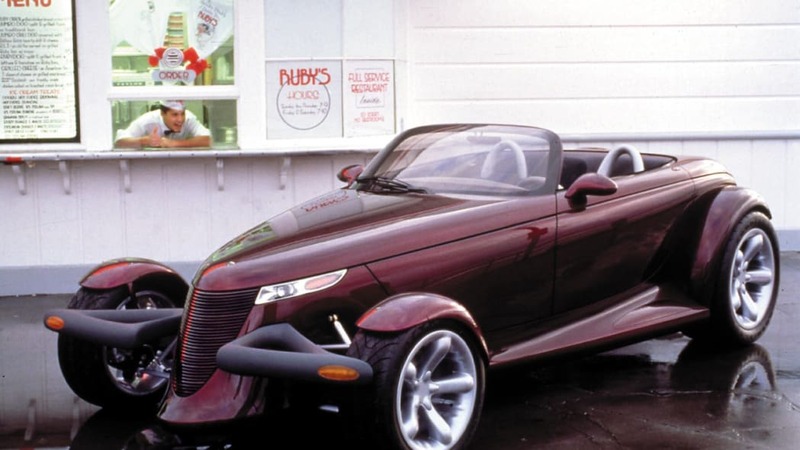 Auburn Hills, MI -- Be my Valentine. 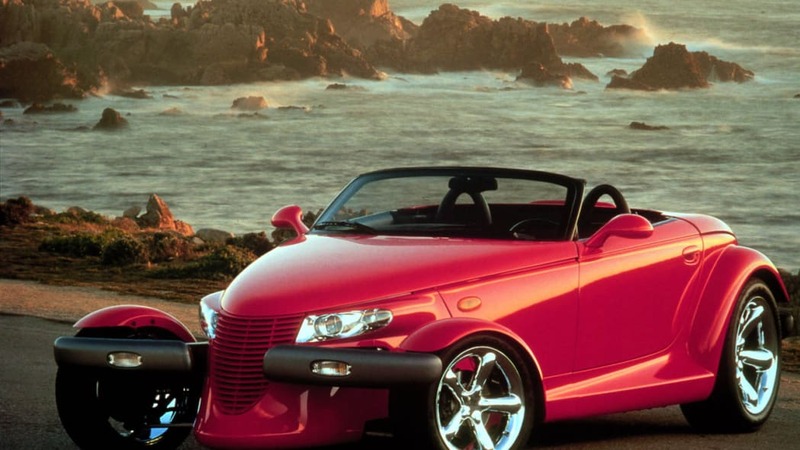 The 1999 Red Plymouth Prowler begins to arrive this month in Chrysler/Plymouth dealerships, just in time for Valentine's Day. 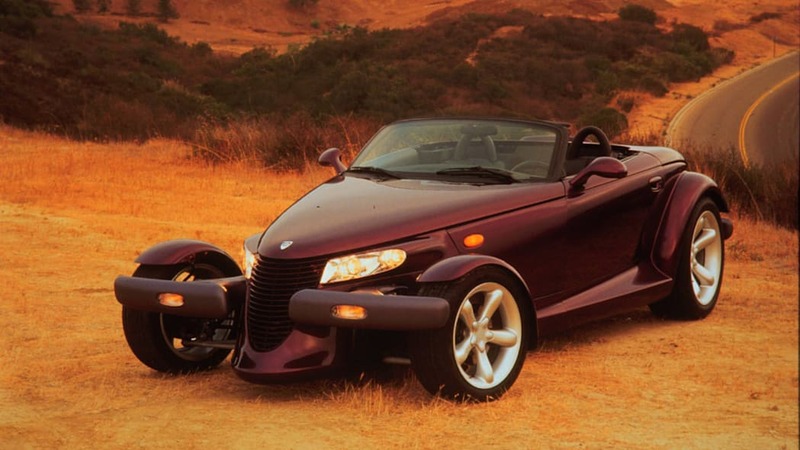 The manufacturer's suggested retail price for Prowler is $40,000. 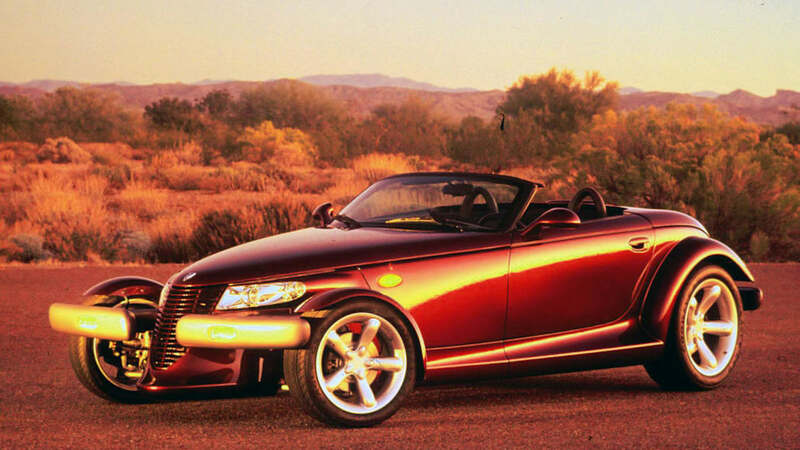 The Prowler is in a class all its own despite renewed interest in the roadster segment of the market. 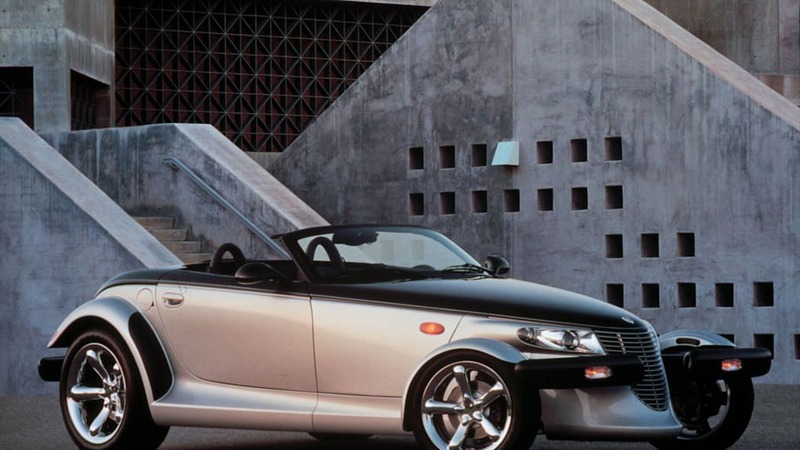 "Prowler Silver" makes its debut as the new color for the 2000 model year. 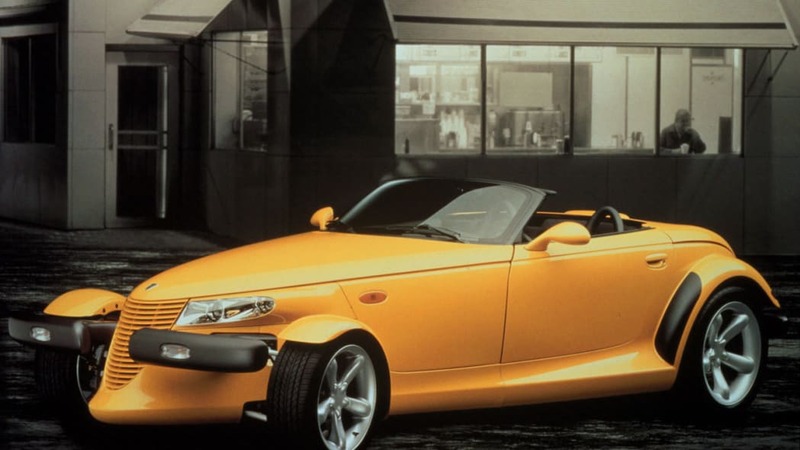 Plymouth Prowler shown with the "tow-behind" trailer, to be offered through Chrysler Corporation's Mopar subsidiary as an extra cost accessory. 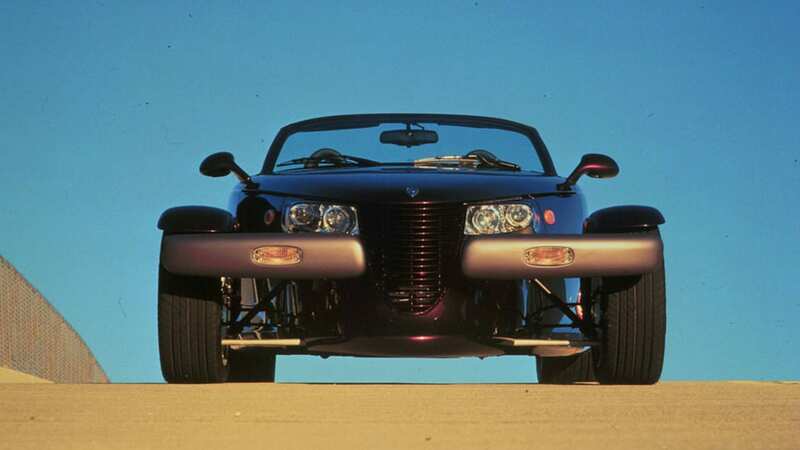 Visually, the Prowler is an incredibly powerful design statement that first and foremost pays homage to the rolling art of hot rods - the ultimate expression of the great American open roadster. 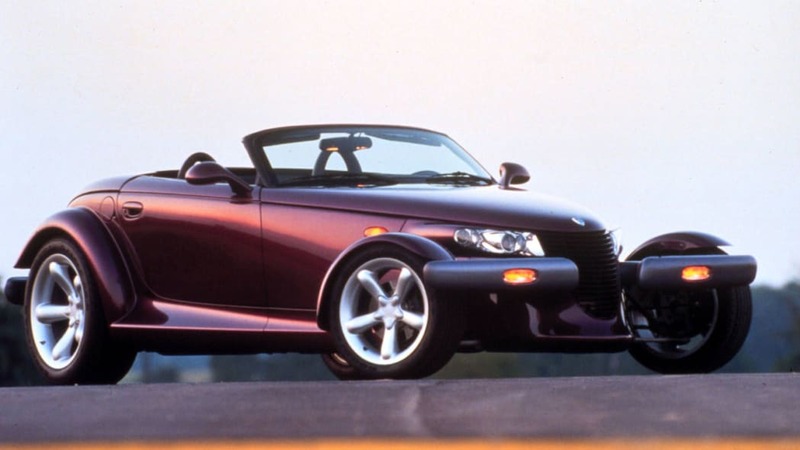 Prowler continues to cruise. 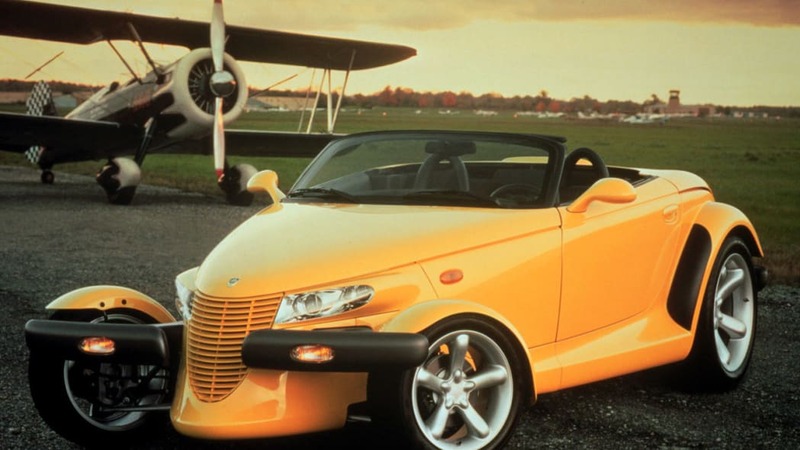 Chrysler kicked off Detroit's annual Woodward Cruise celebration in style by unveiling its new 2001 "Black Tie Edition" Prowler. 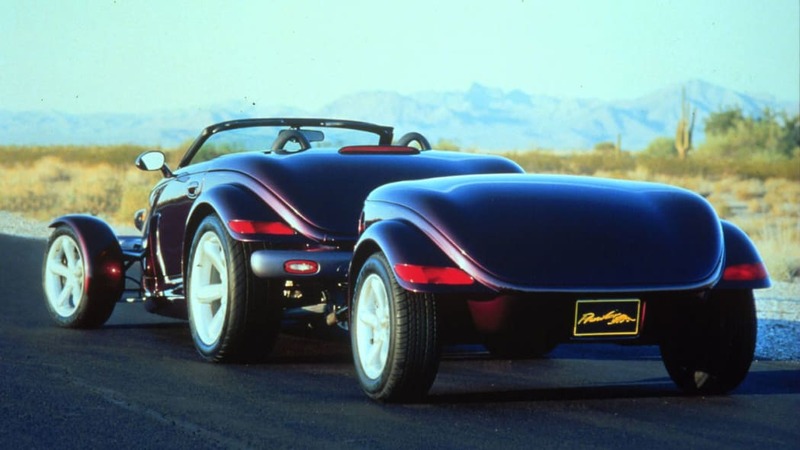 The limited edition silver/black two-tone hot rod will arrive in dealerships by early September. 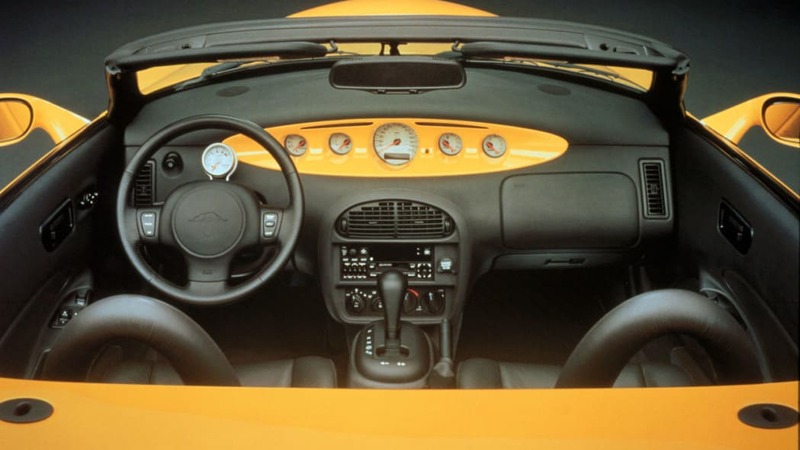 (August 18,2000). 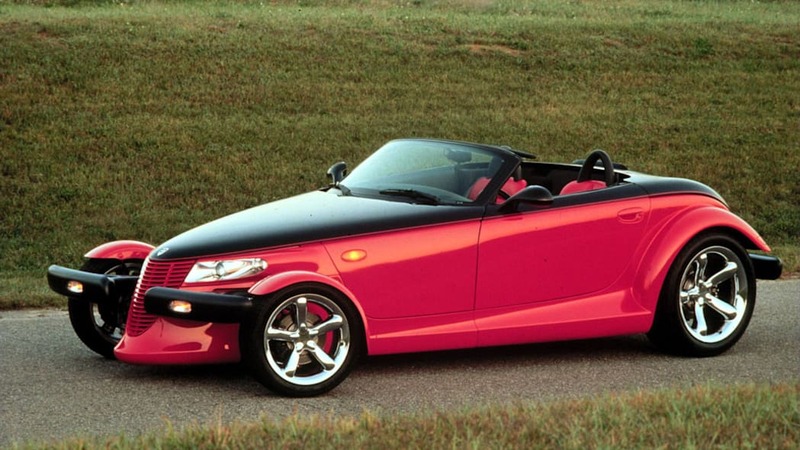 (P-0103). 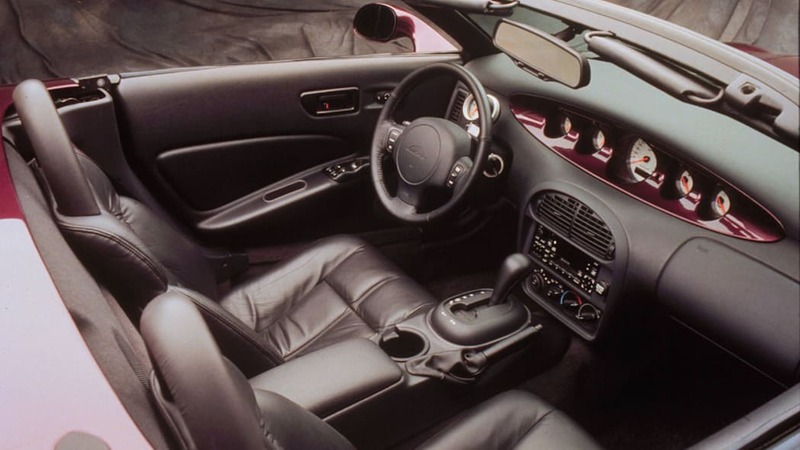 While aluminum is extensively used, it is not the only material. 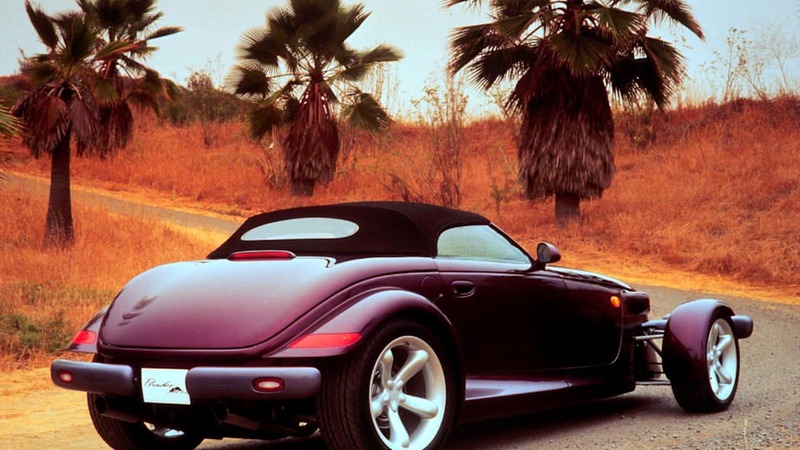 A type of polymer, called acrylonitryle-butadeine-styrene, was used on the grille. 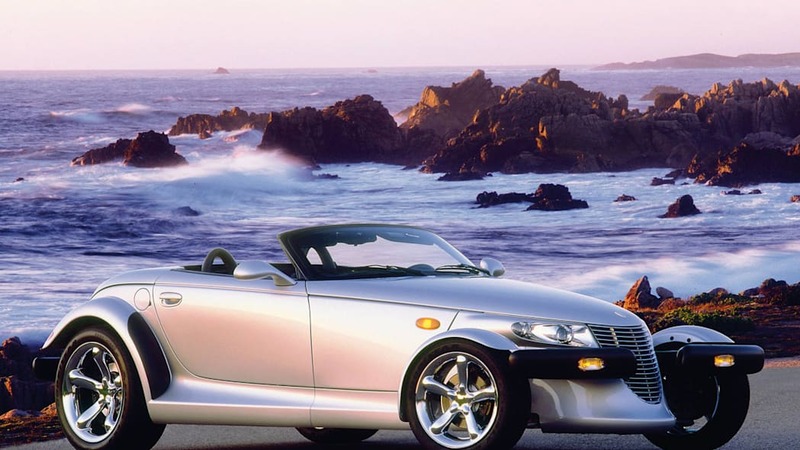 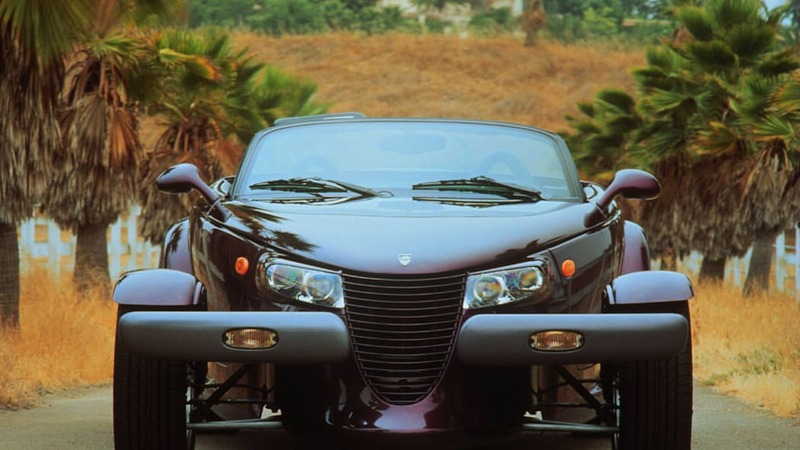 The hot rod aura of the concet Prowler was preserved in the final design of the vehicle's interior.